While Texas’ smoking rates have decreased in recent years, housing advocates fear the looming federal rule will be difficult to enforce or, worse, could lead to eviction of low-income residents having trouble kicking the habit. Residents of more than 48,000 public housing units in Texas will fall under nonsmoking policies in the next two years, but it could be tough for local housing authorities to enforce the rule. Under a 55-page federal rule issued by the Department of Housing and Urban Development on Nov. 28, public housing authorities nationwide must go smoke-free in the next 18 months. The rule excludes residents living in homes under the Housing Choice Voucher program, formerly known as Section 8, a federal rent subsidy program. In Texas, 14.5 percent of people said they were current smokers, according to the 2014 Behavioral Risk Factor Surveillance System. While Texas’ smoking rates have decreased in recent years, housing advocates fear the looming federal rule will be difficult to enforce or, worse, could evict low-income residents having trouble kicking the habit. Hundreds of local governments in Texas have implemented smoking bans in public areas, but the state Legislature has several times stopped short of implementing a statewide ban. As of Dec. 5, there were 48,698 total occupied public housing units in Texas, according to Scott C. Hudman, a public affairs specialist for HUD’s Office of the Regional Administrator in Fort Worth. The office could not readily say how many people live in them. Philip Huang, medical director and health authority for Austin Public Health, said that while smokers may initially gripe about nonsmoking policies at home, it oftentimes helps them quit. “What most people find is they’re already used to being around places with a smoke-free policy, but some of the biggest complaints the managers get is people complaining about exposure to secondhand smoke,” Huang said. The Centers for Disease Control and Prevention estimates cigarette smoking kills 480,000 Americans each year. Huang said the nationwide ban is an opportunity for local housing authorities to work with city and county health departments to come up with initiatives to help residents. He said in recent years public health departments have teamed up with public housing agencies to deliver pamphlets and other aids to tenants. Chris Van Deusen, press officer for the Texas Department of State Health Services, said in an email statement that residents working to stop smoking can get help by calling the Texas Quitline or going online for support. “Telephone and online counseling is available through the Quitline, and people who get telephone counseling may be eligible for two weeks of nicotine replacement therapy if they are in a high-risk group, live in an area with a tobacco coalition we fund or are referred by a health care provider,” Van Deusen said. Nationwide, 600-plus city and county housing authorities had a smoking ban of some form before the federal announcement, including the San Antonio Housing Authority. The agency currently oversees 65 properties that house 65,000 children and families, including Housing Choice Voucher residents. When SAHA officials issued a survey to residents, they were surprised that 80 percent supported a no-smoking policy, said Rosario Neaves, communications director for the housing agency. The policy went into effect Jan. 1, 2012. While the agency has not evicted anyone for smoking, Neaves said the problem is officials have not always had the heart to fully enforce the rule. At first, the agency tried to be sensitive about the difficulty of quitting. Under SAHA’s original no-smoking policy, residents had five warnings and then a 30-day lease termination would be sent. But in four years, the agency received complaints from tenants telling on other tenants for smoking. That led the agency to change the policy earlier this year and now residents get no more than three chances after being caught smoking before they are evicted. She said the problem with this kind of policy is that housing authorities have to rely heavily on residents to report if their neighbors are smoking. If no one’s reporting it, it can make enforcement difficult. Susan Popkin, a senior fellow in the Metropolitan Housing and Communities Policy Center at the Urban Institute, said local public housing authorities will likely be more keen to enforce the smoking ban if there’s a tenant with late rent history or causing other problems. She said housing authorities may be more lenient on good residents when it comes to enforcing the smoking rule. Singling out public housing with no-smoking policies further stigmatizes residents who have to live there, according to John Henneberger, co-director for Texas Housers, a public housing advocacy group. He pointed out that if private apartments did not have to enforce a no-smoking policy then there should not be one for public housing. While he understands the health benefits of avoiding secondhand smoke, Henneberger said there’s “an expectation of some degree of privacy” at home and that the new federal policy could prevent that. 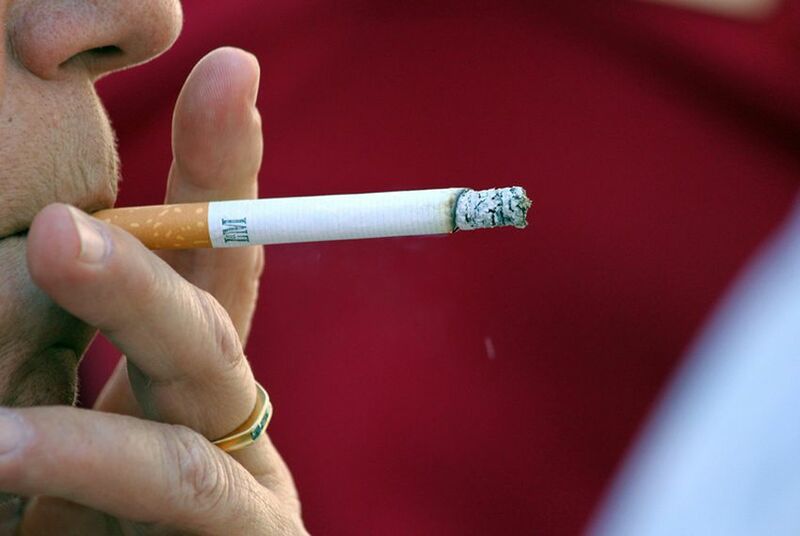 Next year will mark the fifth legislative session in a row where Texas lawmakers have considered a statewide ban on smoking in public places. More than 100 Texas cities haven't waited for them, despite pushback from some businesses. With legislation to ban smoking in public workplaces failing for the fourth legislative session in a row, proponents and critics say they are ready for another face-off in 2015.